You've worked so hard to be where you are today. You are now a CEO, a successful businessman, or a manager of a company. When you've moved up all the way of the ladder, isn't it time you gift yourself something? perhaps some rest, some comfort or still better, a recliner that gives you both. Pamper yourself with the luxurious Consul recliner by Stressless®. Stately and refined, this design has simple lines, effortless Scandinavian styling and ushers incomparable comfort. With a 360° swivel and patented Glide system, the Consul responds to and works with the motion of your body to give you unmatched support and superior comfort. When you buy a Stressless® recliner, you gain a lot more than just the price you pay. Here are 15 reasons why a Stressless® recliner is worth every penny. Nobody cares more about your personal comfort at home or in the office than Stressless®. The patented Glide system™ is the key to the renowned Stressless® comfort. Even when seated, your body still moves, shifting position hundreds of times. The idea is to design furniture that effortlessly supports your every movement - this is the essence of Stressless®. The Glide system™ ushers perfect balance, letting the chair automatically move in harmony with your body, adjusting to your body weight - no need to push buttons or levers! Each recliner contains internal technology to support your body’s position and plush cushioning that allows you to completely relax. Stressless® has the technology and ergonomic support many other furniture makers don’t offer. As you sit upright or glide into position, the chair stays focused on offering the proper support for your back. And we all know when your back is happy, so are you. The Stressless® Plus™ provides continuous support for your head and lower back. Upright or reclined, you’re always perfectly supported. Double-sided mechanism ensures maximum stability and functionality. When you recline, the headrest automatically moves up the optimum angle, so you can read a book, watch TV, or browse your iPad, perfectly relaxed. 3. All parts and pieces from start to finish are made from high-quality materials and sturdy steel. Scientifically engineered flexo springs on a steel frame for precise ergonomics, durability, and strength. 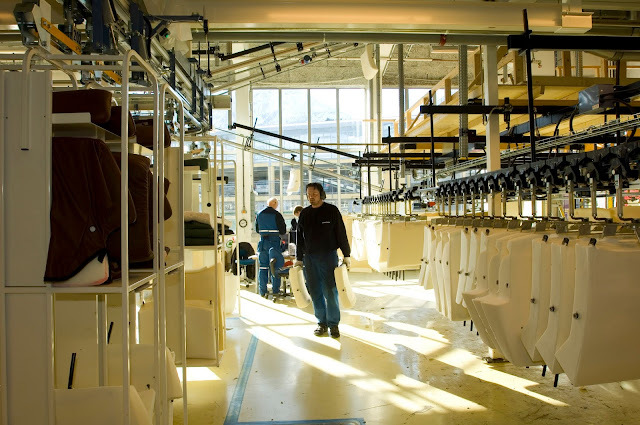 Stressless® stands by their work by guaranteeing their products and materials against failing from regular wear and tear. The durable steel frame and flexo springs offer superior resilience and continuous support. 4. Whether you’re sitting all day at the office or relaxing in your easy chair, Stressless® offers support at all angles. You should be protected any way you choose to relax, which is why Stressless® technology reads your body position and automatically adjusts for the best fit. 5. The perforated foam is moulded directly over the frame allowing it to take up the proper contour for your body; giving good ventilation and long-lasting, superior comfort. The indentations in the new Comfort-Zones™ technology lets your body sink deeper into the seat, giving you an overall embraced feeling for even more enhanced personal comfort. A higher layer of polyurethane foam padding ensures optimum softness and comfort. 6. Super-soft polyester fibre covers the soft foam, cushions your body for that relaxing cushy feel and ensures an attractive look. With Stressless®, you can customize the leather, upholstery, and wood tone to match your style and preference for a luxurious look and feel. There's nothing better than the option to pick high-quality genuine top-grain leather upholstery for the perfect touch of luxurious comfort. The look, smell, touch, and feel of Stressless® genuine leather is a sight to behold and something you must experience for yourself. Two-stem base adds for smoother turning and superior stability. Concealed swivel ring designed for great strength, durability, and an effortless 360 degree swivel for maximum mobility. An ottoman that can be positioned at the right leg length for you, with its built-in Glide function that adjusts to your body movement ensuring it moves effortlessly with your legs for ultimate comfort. 11. Furniture Shouldn’t Be One-Size-Fits-All. 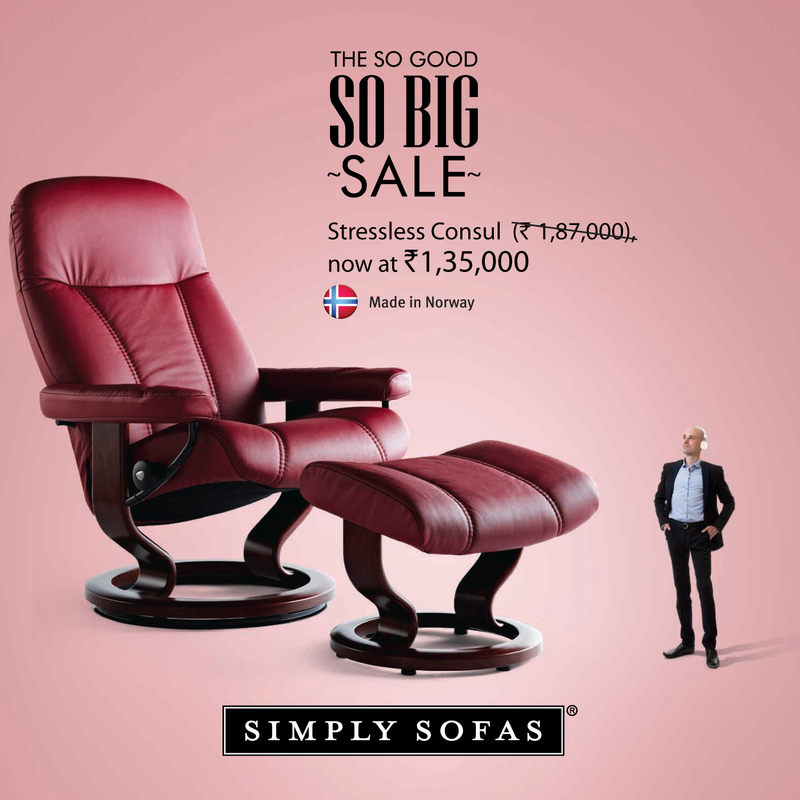 Stressless understands your personal needs and individual comfort and hence is available in three sizes. So that everyone can enjoy a movie or a good conversation in comfort. 12. Stressless Stands the Test of Time. These aren’t recliners you’ll get rid of anytime soon. They’re built to last and so comfortable that you may hold on to them for decades. Stressless® offers 10 years guarantee on internal mechanism. Besides, the products are endorsed by the American Chiropractic Association. No matter what your style, Stressless® has you covered. As a forward, innovative company, they have gorgeous, modern styles to choose from. More of a fan of traditional styles? You can find just what you need with Stressless®. Crafted in Norway, Stressless® designs are inspired by Norwegian styles with a simplistic, minimalist flair. Reclining chairs have an open, airy feeling with a swivel base and the fine lines of their sofas inspire sophistication and relaxation at its finest. If you're tall, give your Stressless® a boost with the Elevator Ring. Gain nearly 1 ¼" of height and enhance your comfort. Personal table - you can attach one to a Stressless® recliner with a classic base which provides a firm, stable working space right over your lap. Swing table - is a practical and innovative accessory. Attaches to recliners with a classic base. Stressless® offers superlative comfort that none can match. If you’re looking for a wow-factor piece that delivers on its promises, you’ll discover Stressless® furniture does not disappoint. You'll love coming back to home or office everyday. So it's time you pamper yourself with the luxurious Stressless® Consul, because you deserve the world's best. The Consul recliner (₹1,87,000), now at ₹1,35,000. Only till stocks last. Also, you can check out our entire collection of Stressless recliners and sofas. Visit our store today. Isn't it time to own the luxury you've earned? Spread across South India, Simply Sofas stores in total have 80,000 sq.ft of fine European furniture made in Italy, Spain, Germany, Norway and The Netherlands, in short, Europe's finest furniture is on sale in India. 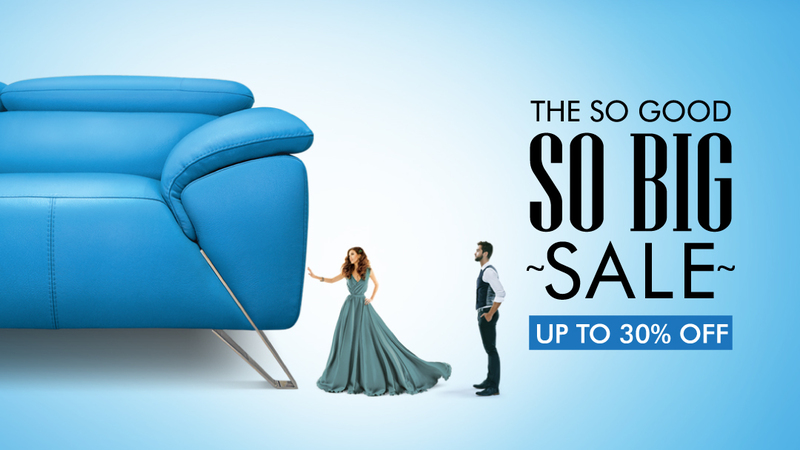 Up to 30% off on the entire collection of living, dining, bedroom, home theatre, and more. This is your opportunity to own great design. These original designs are crafted in some of the most advanced facilities in the industry and are shipped straight to us, to you. 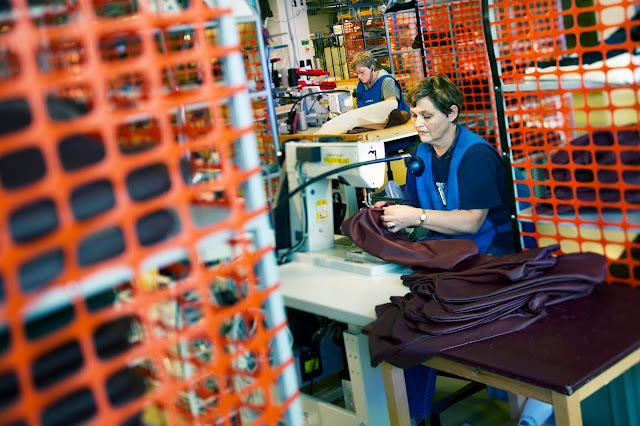 While the product varies from brand to brand, our sofas are generally made of warp-proof European solid woods, high-resilience webbing, no-sag springs, patented shape-retaining foam, and goose feathers. Our table structures are built with specialised materials and reinforced stainless steel. Both technology and craftsmanship come together to deliver flawless functionality. 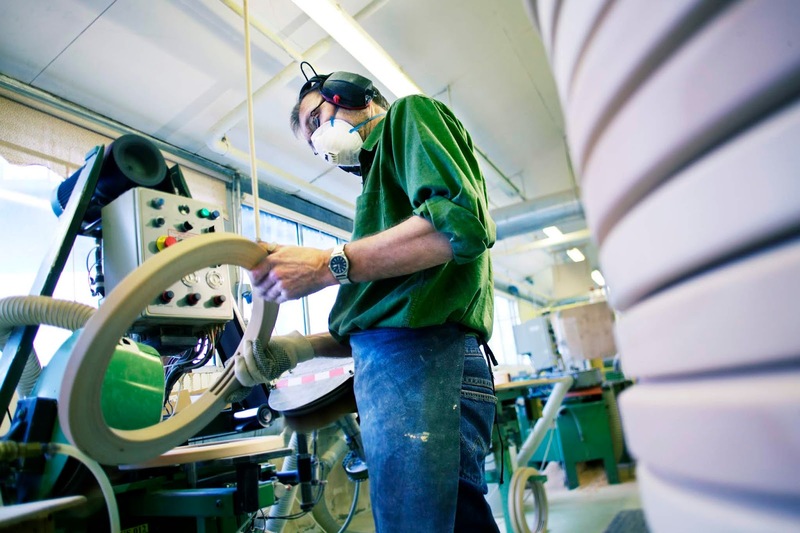 Almost every type of product is put through the most stringent tests that exist in the industry. 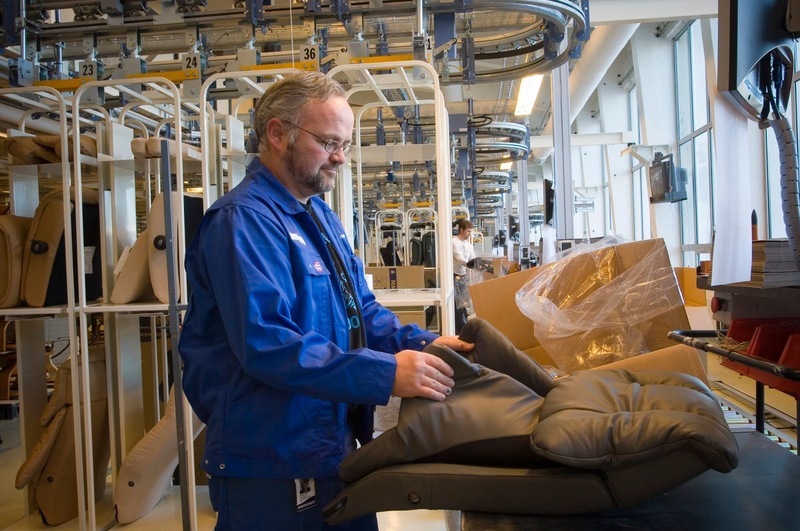 Such as 400 quality checks and over 30,000 cycles of impact testing for sofas. Which means you get more than you pay for. Some of our collection has the Golden M, the critical German quality certification, which suggests that the products are manufactured via environment-friendly conditions. We have a collection that is quite simply put, unparalleled, a class apart. With over 425 shades of genuine European leather, with unmatched thicknesses of up to 5mm. And over 325 fabrics in flat-woven, velour, and microfibre. Over 100 world famous architects and foremost furniture makers have worked on the designs from the inception to the final product to make their dreams come true. These original designs are available at our stores. And let's make it clear "there are no copies here". Our collection right now on our store floors features over 350 sofas, 120 dining tables, 200 chairs, 70 recliners (and more) - all of which are available through 5 stores in 4 cities - Bangalore, Chennai, Coimbatore, and Kochi. 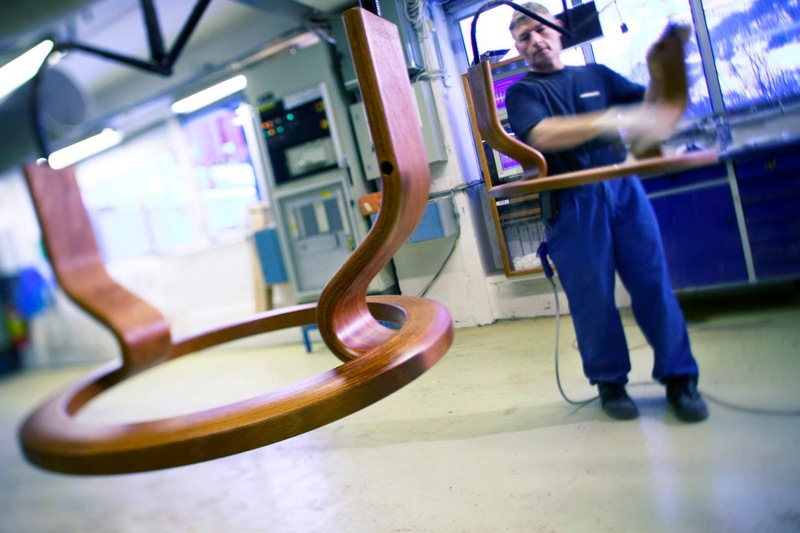 We are the exclusive partners for some of the world's best furniture makers. The brands include Leolux, Natuzzi, NicolettiHome, Koinor, Fama, Bonaldo, Tonin Casa, Calligaris, Alf Italia, Stressless, Becker, Varier, Mario Cioni, Bordbar, OSIM, Tajoma, Hands. (Making it 17 brands) While we also have the largest collection of Award-winning furniture and the awards include Red Dot Design Award, Good Industrial Design, Design Prize Switzerland, Interior Innovation Award. So Fa(r), for 17 years, Simply Sofas has brought comfort, class, luxury, and happiness to over 10,000 premium homes in South India. Our large selection of products, both on display and in our exclusive stock system, means you can get the best almost immediately. You can even order a special colour, size, material, finish, configuration or choose from the brand catalogues. We deliver across south India. All you have to do is visit our stores because the sale is only for a limited period.